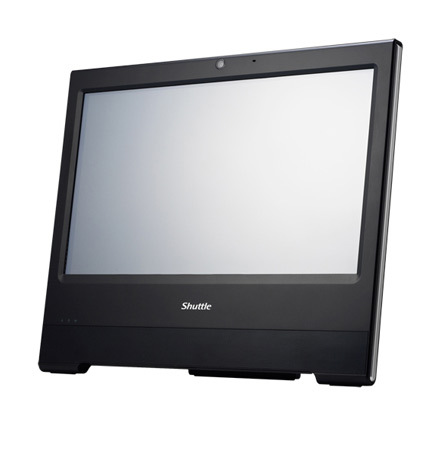 The Shuttle X50V3L with 15.6-inch touch screen is equipped with Intel® Atom™ D2550 dual-core processor, built-in GMA 3650 graphics card, supports HD high-definition video; Maximum support 4GB DDR3 memory and support 2.5 inch hard disk, perfect support Windows 7. 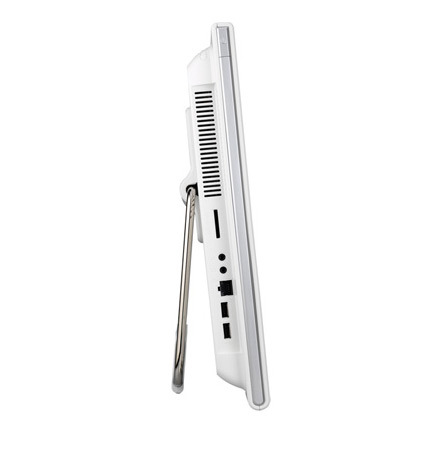 The 36mm thin case of the X50V3L with a great all-in-one design, all day continuous operation platform capacity, can be applied flexibly for Internet, consulting platform, and digital signage. The Shuttle X50V3L using the latest generation of energy-saving power of the Intel® Atom™ D2550 dual-core processors and the Intel® NM 10 Express Chipset, provides excellent stability to different applications. Shuttle X50V3L comes with the new Cedar Trail-D platform, integration of 32nm Intel® Atom™ processor with GMA3650 graphics capabilities, as well as low-power energy-saving feature. 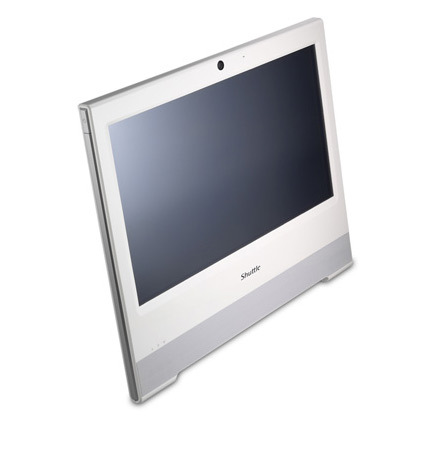 The X50V3L with only 36mm case is very energy-effective All-in-One touch panel PC with black and white classic model, it only takes a little space and easy apply to business space or home entertainment. 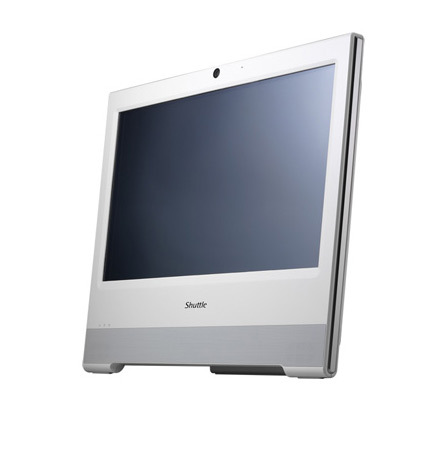 The built-in 2 mega pixel webcam and microphone come with a simple and easy-to-use application. With just one finger click, taking photo or stream live images across the Internet in real time chatting in no time. 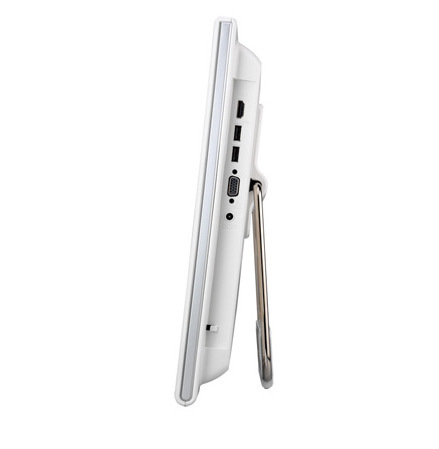 With perfect ratio of 16:9 touch screen, showing the excellent quality of the screen, without any external keyboard and mouse, and only the fingertips touch, you can easily operation, use the various functions and enjoy the digital life. The unique all-in-on design, machine thickness of only 36mm, the weights just 3.5kg has more performance for its size than virtually anything else on the market. The unique stand on the Shuttle X50V3L can be easily customized to the way you work and play. It can be set from 0-180 degrees, whatever angle that works best for your environment. What's more, the stand is convertible so it can be pulled up to double as a carrying handle for easy portability. Designed to fit seamlessly into your lifestyle, the convertible stand on the Shuttle X50V3L even can be removed to reveal VESA standard hole patterns. That means it's ready for use with any standard mounting device that best blends into your environment. The Shuttle X50V3L features a cooling system that combines and integrated heat-sink with thermal pads - and removes the fan. As an added benefit, it's not only quiet but also dust-free. Shuttle ensured that all components and materials inside follow the rigorous green guidelines of RoHS, for a package that's greener and better for the environment than you can imagine. Plus, with an ENERGY STAR 5.0 qualified power adapter, it's even easy on your energy bill, drawing a mere 40 watts of power. Shuttle X50V3L is officially approved for 24/7 permanent operation. 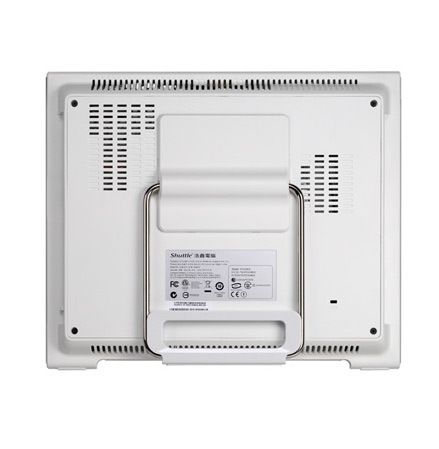 Thanks to its low power consumption and completely passively cooling, this PC runs highly reliable making it perfectly suitable for digital signage and other vertical applications.